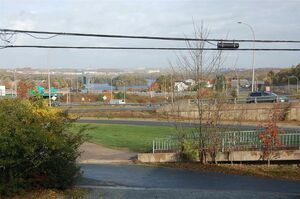 371 Prince Albert Road, Dartmouth (MLS® 201823990): Make a smart financial decision and buy an income property. Ideal for first time buyers to help qualify for a mortgage. Carpet free character home with hardwood flooring in living room, dining room, hallway, stairs and four bedrooms. Several updates including a new front deck and most windows have been replaced. Both bathrooms have been updated. The main floor bath features a refinished claw foot tub. Spacious dining room and living room is ideal for family gatherings. Living room features a propane fireplace insert. 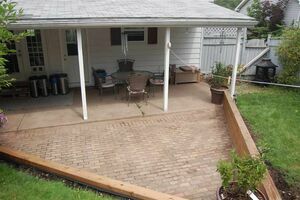 The back of the house has a covered patio with privacy and gardens. 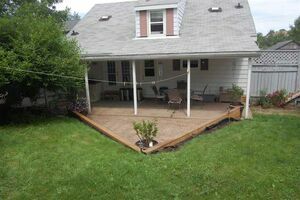 The backyard is fully fenced and secure for your pets. 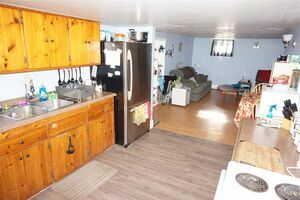 Heated garage has lots of storage areas and a home office. The loft area and attic space in the house for storage. There is also a shed for your gardening tools. The wide driveway has parking space for four cars. Conveniently located on a bus route and just a short walking distance to shopping. Lower level consists of a legal two bedroom apartment with its own entrance. Apartment rents for $800.00 per month. Tenants pay their own utilities. It is currently rented to assist with your mortgage.